Today is a special day in our house. We’re celebrating my youngest’s birthday and he’s turning seven. How time flies! He’s a charmer, has aspirations to be the greatest artist in the world, thankfully still likes to snuggle and asked for an iPhone for his birthday. Just so you know…he’s NOT getting one. Happy birthday sweet boy! Don’t grow up too fast! I cracked open a new pad of paper for this card and oh my, I have a new paper crush. It’s a kraft paper line by My Mind’s Eye and it’s perfect for parties or guys or anything. 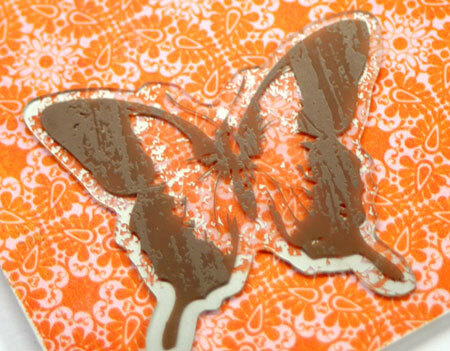 You know how I feel about Kraft and how I feel about patterned paper. Putting them both together….sigh. 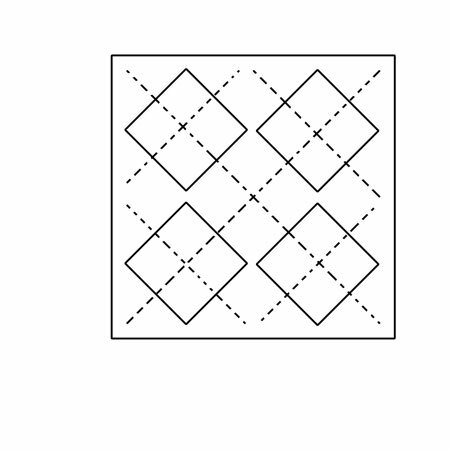 Quick Tip: Draw your eyes to the focal point of the design using diagonals. You can’t see the ends of the trinket pins in this design but your eye follows the line to the focal point (the 7 bingo piece) anyway. This is a simple sketch but a fun one. I wanted to remember it so I drew it up for myself. If you’d like to play with it, feel free. 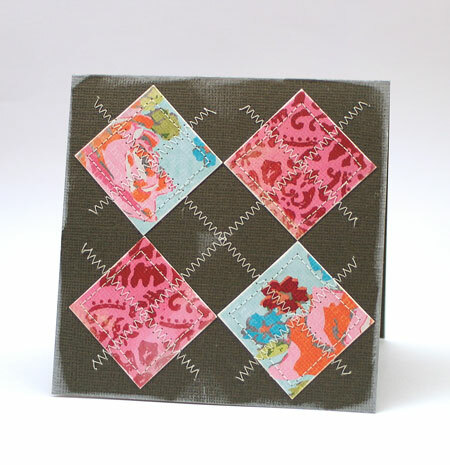 It’s great for using up scraps and playing around with lots of pattern. 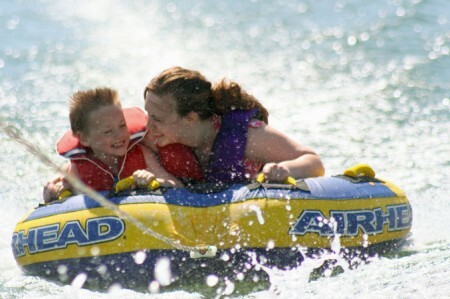 The water up here is still … ummmmm…brisk but we’re hearty Canadians, right? Now I’m off to finish up the birthday dinner and wrap a few presents. Memories are so important. Our experiences make us who we are and affect every part of our lives. I cherish memories. I’m a sentimental gal. And that’s why I scrapbook. I don’t want to forget the special moments in my life. 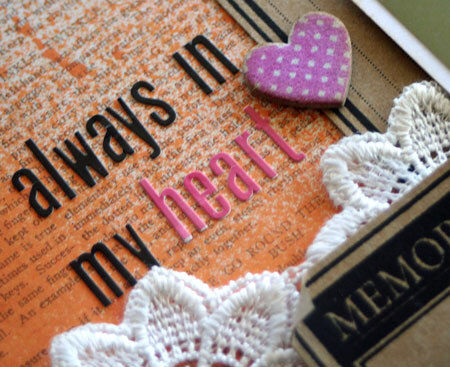 When I look back at what I scrapbook, my most cherished memories aren’t the events but the people that make them special. Without loved ones in my life, it would be a very barren and lonely place. Today’s layout is about my sweet mother. There isn’t a day that goes by that I don’t miss her. I carry her memory and all that she taught me close in my heart. Today’s layout combines so many of my favorite things for a Lily Bee Design/Maya Road blog hop. I think it’s a perfect product pairing, don’t you? 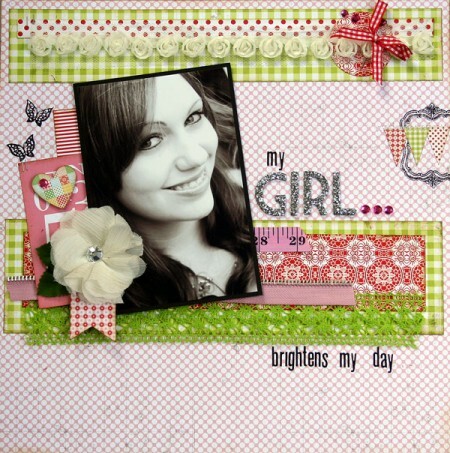 Stop by Lily Bee for the sketch challenge this layout was based on and some fabulous inspiration. The Maya Road designers are also hopping along with us so be sure to check out their wonderful projects here. The Maya Road flower is misted for a hit of color. 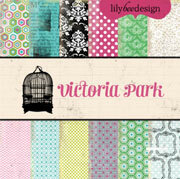 The Lily Bee ABC stickers have EIGHT different colors of type on each sheet. 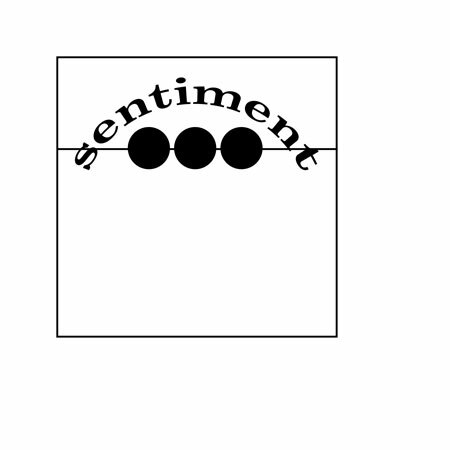 Perfect for highlighting a word in your sentiment. 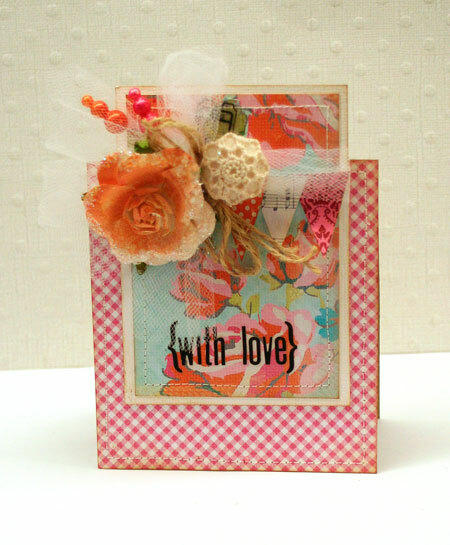 The little Maya Road chipboard heart is stamped with the gingham heart from the Head Over Heels stamp set. I was so super excited to find that the Lily Bee banner stickers are perfectly proportionate to fit on the Maya Road chipboard. Fun! Since I love sketches, and I created so many (wink), I’ve decided to share another with you today. We’ll see how it goes but I just may make it into a weekly feature. Today’s card is a combo of the sketch below and some fun new goodies that I ordered to play with. 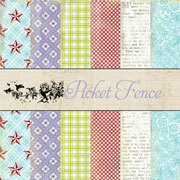 The new Basic Grey Indie Blooms line has some fabulous colors and prints. Have fun using this sketch. 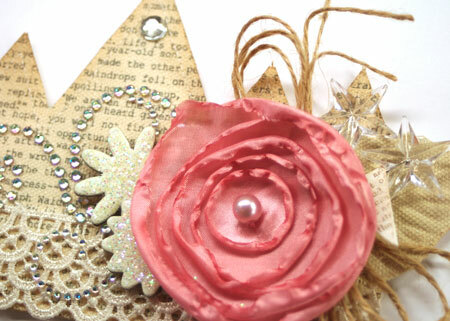 It features a curved sentiment around the embellishments. I think I’ll be using it again for inspiration. 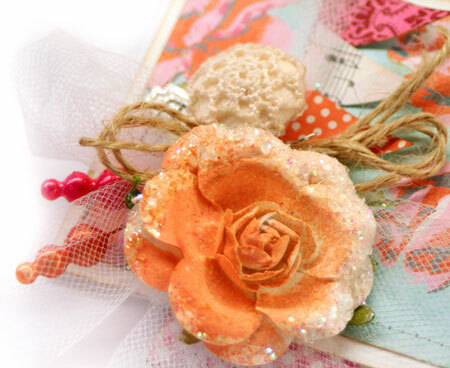 I love these beautiful Prima buttons. They look so vintage and wonderful. 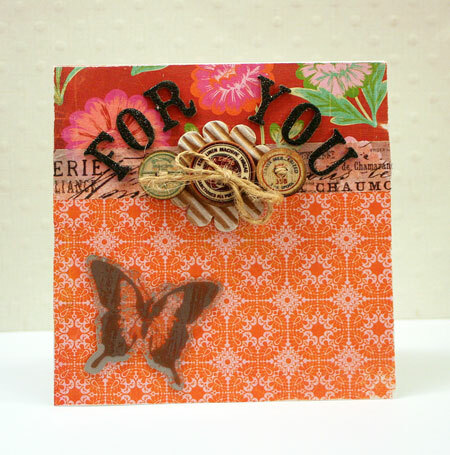 This beautiful butterfly is also a new Prima accent. It was hard to photograph how very pretty it really is. Okay, now what you really wanted to see…the winner! Annette A. on 26 Aug 2011 at 8:44 am 17 This sketch is amazing. I love that crown idea. Thanks for sharing. Congrats Annette! Please e-mail me with your address and I’ll get your issue sent out to you asap. My e-mail link is at the top of my blog sidebar. So you know I love sketches. Love creating them. Love using them for inspiration. Love seeing how others interpret them. It’s no wonder then that I was so excited to get my hands on the latest special issue from Paper Crafts Magazine, Card Ideas for Paper Crafters. It’s an issue I’ve been keeping on my coffee table and keep picking it up to relax and enjoy it. Soon it will make it’s way down to my craft room and will get much use but for now (and until the kids get back to school) I’m enjoying it when I get a few minutes. What do I love best about this issue? I love the creativity of all the different ways the designers have interpreted the sketches. So creative! I keep saying wow…why didn’t I think of that? I loved working on this issue. I think what I loved the most was getting so inspired to create so many sketches when I really had only done a couple before. I love a good challenge. I love trying new things. The hardest thing was choosing which sketches to design and submit with. Unfortunately, there’s only so much time in the day. Looking for this special issue? You can find it online here. Today’s blog hop is all about sketches of course. 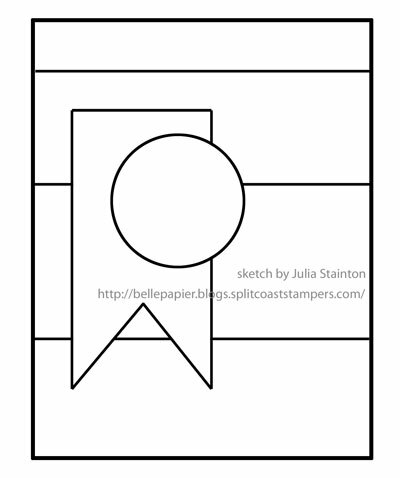 Paper Crafts is sharing the 12 bonus sketches in the issue here. They are great sketches that you can find in the issue and also print them out from that link online. Have fun using them! I was thinking crowns and mountains when I came up with it. If you plan on using it, I’d love to see what you do with it. 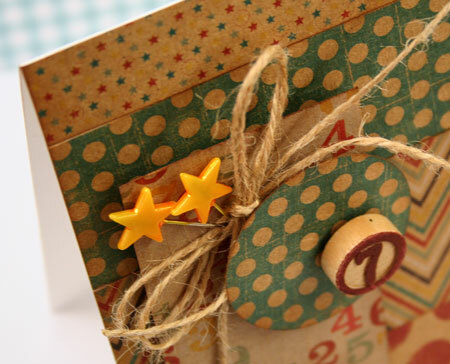 Quick Tip: Make a template of a shaped card so that you can quickly redo it in the future without all the measuring. To create my card I first cut the crown shape out of a 4×6″ card. After you have the base, it’s easy to cover it with the canvas and stitch the edges. 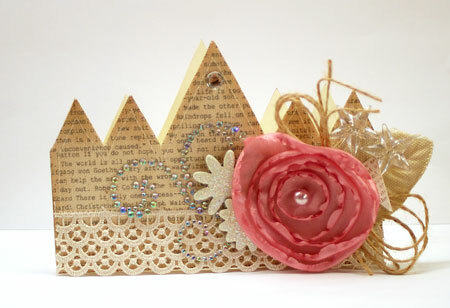 There’s lots of subtle shine, bling and glitter to make this card fit for a princess. 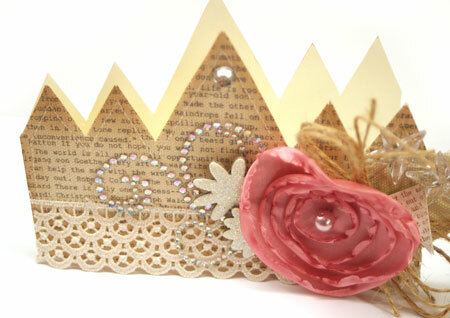 Who can you give a crown shaped card to? How about a little girl, your mom (the queen), or a royally special friend. 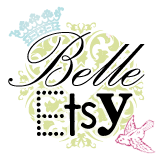 So most fun blog hops have a royally wonderful prize, right? This one has MANY! 1. 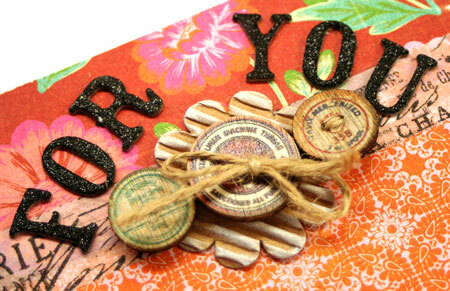 Comment on THIS blog post for a chance to win the latest issue, Card Ideas for Paper Crafters. All comments must be posted by midnight (MDT) on Sunday, August 28 I’ll be announcing the winner on Monday here so stay tuned! 2. 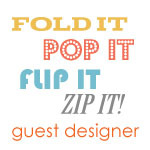 Stop by Paper Crafts Connection for a chance to win a really fabulous giveaway. Don’t miss this one! It’s good! 3. Stop by each of the following blogs for some incredible inspiration using the bonus sketches as well as more chances to win an issue of this latest and greatest magazine. head over heels for sketches! I adore sketches. Don’t you? Card sketches are a great way to get you out of a rut and try something new. 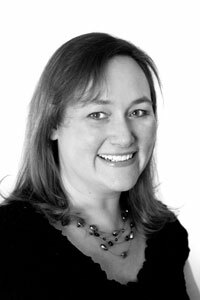 If you’re short on time, they take the guesswork out of design and make it fast. 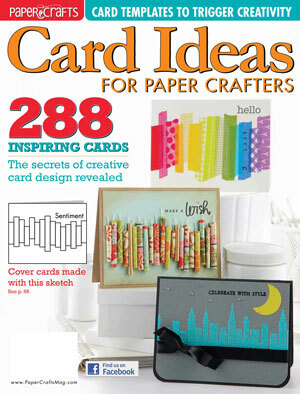 I’m so excited to be part of the new Card Ideas for Paper Crafters, the latest special issue from Paper Crafts Magazine. Designing sketches and card projects are things I just love to do. Today on the Paper Crafts Connection, Susan Opel has asked me a few questions about designing sketches and I’ve created a card using one of the sketches from this latest issue. Check it out! 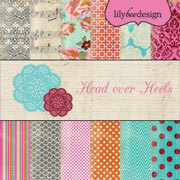 Here’s the card using my new paper line, Head Over Heels from Lily Bee Design. You can find the accompanying sketch at Paper Crafts Connection. I hope it will inspire you to get creating! 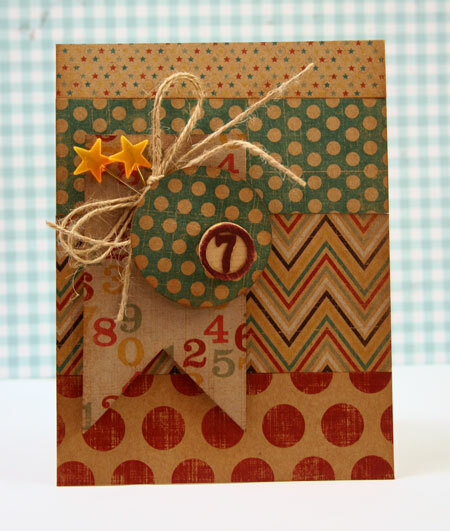 To create this design, I simply followed the sketch to make designing the card easy and quick. I’ve added in a few fun design ideas I want to share as well. 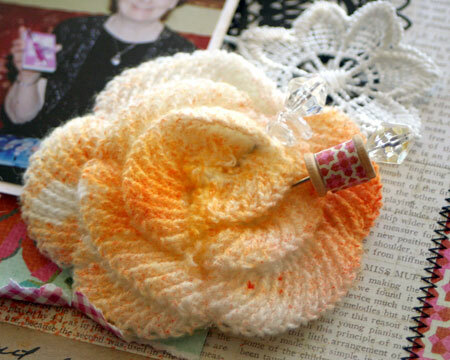 Customize a white flower by misting it with a dye ink spray that coordinates with your projects. You can create your own custom colored trinket pins by airbrushing them exactly the color you want. I love using the Copic air brush system for this. It’s quick and easy. Since I love creating more than one project when my supplies are out, I decided to share a sketch with you that I designed and create a project to go with it. It also uses up pieces from my Head Over Heels line. 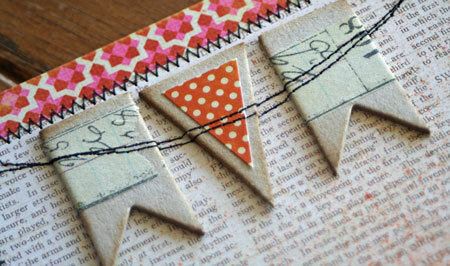 It’s a great sketch for using up your scraps! Speaking of Head Over Heels, I can’t wait until it hits the store shelves in October. It’s expected to start shipping to stores October 17th so be on the lookout for it shortly thereafter. Is anyone interested in getting it long before the stores do?! Hop over to the Paper Crafts Connection where Lily Bee and Paper Crafts Magazine are giving away THREE collections of Head Over Heels to some lucky winners. Good luck!!!! 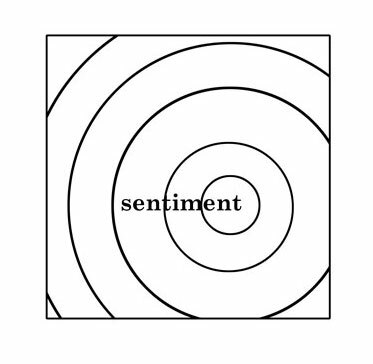 Like to design from sketches? I do! I also love creating them. Paper Crafts Magazine has a fabulous new project in the works and wants you to submit cards using some uber- fabulous sketches. Want to play along? You can find the current calls and the sketch details here. Remember…it’s a cards issue so that’s what you need to create.